The landscape of the Bathurst Basin and Macquarie River floodplains had been actively managed by the indigenous Wiradjuri people for at least 40,000 years before European settlement. The Wiradjuri understood the landscape and its vegetation and many plants and animals were used as resources to sustain a successful and vibrant culture. The European settlement at the current site of Bathurst was established in 1815. Land clearance for grazing and agriculture and timber harvesting for construction rapidly brought about dramatic changes to the landscape and vegetation of the region. 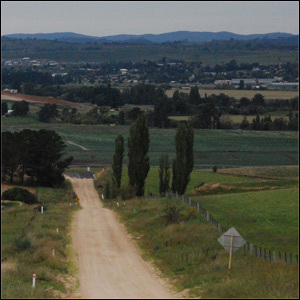 The twentieth century saw land subdivision in Bathurst and the surrounding villages, and across the rural landscape. In rural areas, tree clearance continued on the productive lands, leaving only scattered remnants of native vegetation. By contrast, in the urban areas, native vegetation was largely replaced by a diverse range of exotic plants and has resulted in an urban forest with many more trees and shrubs than would have been present prior to non-indigenous settlement. Continued urban sprawl places ongoing pressure on the Bathurst landscape and its native vegetation habitats. 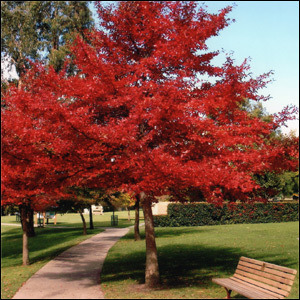 It should be noted that these plantings of exotics in Bathurst’s parks, gardens and streetscapes are also important elements of our natural heritage that must be protected and preserved. 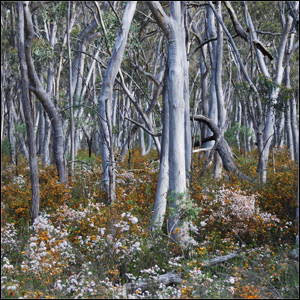 The dominant vegetation type of the Bathurst area is formally known as White Box/Yellow Box/Blakely’s Red Gum Woodland. This assemblage of trees, shrubs, grasses, herbs and forbs has been listed as an Endangered Ecological Community which means that we need to take great care of the few remaining patches that still exist. 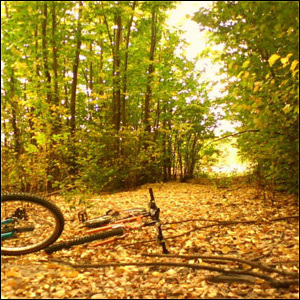 The best publicly accessible example of the woodland community in the Bathurst area is found in portions of the Boundary Rd Reserve, just 3 kms west of the CBD. Across the Orange Road from the Bathurst Golf Club the Brooke Moore Remnant is a small but important ‘in town’ remnant woodland. Other important woodland conservation reserves close to Bathurst include the Evans Crown Nature Reserve; Peel Native Flora and Fauna Reserve; Wambool Nature Reserve; Winburndale Nature Reserve; Fremantle Nature Reserve; Macquarie Turon Heritage Lands – the Bridle Track from Bathurst to Hill End. This track, which follows the course of the Macquarie and Turon rivers to Hill End, contains some important and increasingly rare riparian reserves along the rivers including significant stands of Casuarina cunninghamiana. As well as these reserves there are also significant areas of Native State Forests to be found on the more rugged ridge country especially to the east and south of Bathurst. It is vitally important that these remnants and reserves are sustainably managed into the future. Greening Bathurst is a volunteer community organisation that supports best practice in the management and conservation of vegetation across the Bathurst Regional Council area by advancing the implementation of the Bathurst Vegetation Management Plan (BVMP) and assisting in achieving the vision of the Plan. 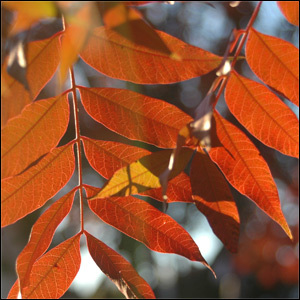 Greening Bathurst recognises that well managed vegetation is critical to achieving sustainable development because of its strong influence on biodiversity, water quality and landscape character. Bathurst’s reputation as a pleasant and prosperous place to live and do business in will be enhanced by its recognition as a place of excellence in vegetation management. Through the Flannery Centre, Skillset offers courses, services and reputable information around living and working sustainably. The mission of the Centre is to inspire, lead and learn our way to a positive future. There are also training qualifications and short courses available. The Bathurst Community Climate Action Network is a network of organisations and individuals working together to promote action on the challenge of climate change and sustainable equitable development. The principal focus is to work with the Bathurst Regional Council, individuals and organisations in this shared challenge. A number of action planning teams have been set up so that members might focus their attention on a specific area of interest or concern.